I go on vacation, I ask you guys about the golf scene in said vacation spot. If nothing golf. Who's been there? I lived in St. Thomas and went to St. John regularly. 2-3 times a week some weeks. 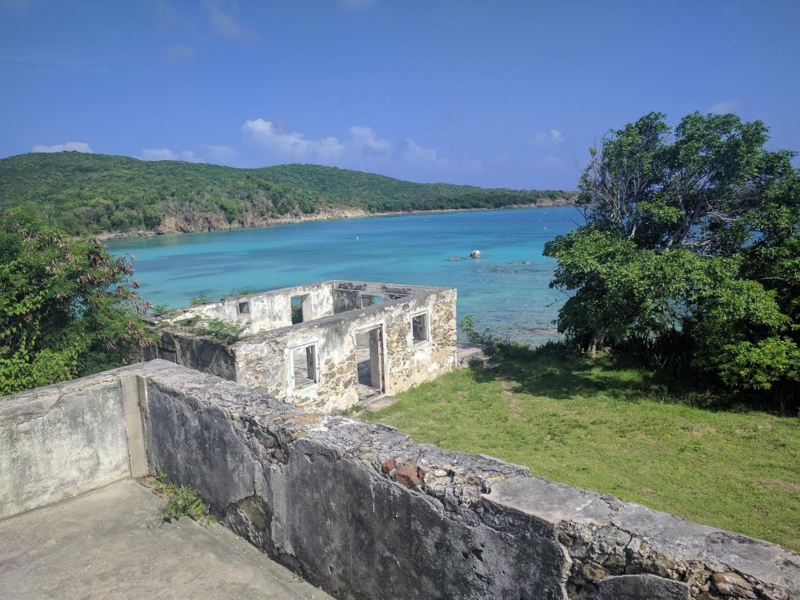 I can give you all the info you could want about the Virgin Islands. I sailed to the Caribbean from New England many times on my own boat, and on others as a delivery captain. I was a charter captain of large sailing yacht based in Red Hook Bay on the east side of St. Thomas for three seasons. Mahogany Run is the only golf course close by. I only played it once, because I wasn't a golf fanatic (though I enjoyed it) at the time and I couldn't afford it with my limited budget. As a local, I got a bit of a break and paid about $65 to play it back in 2001. It will be a lot more than that now. It is very nice and definitely worth taking the ferry ride over to Red Hook where you can taxi from there without too much trouble. There is a lot more to do on St. Thomas. St. John is quieter. I anchored in many of St. John's bays on my various charters. Great snorkeling. Francis Bay is a nice day on the beach. There are many others. The views are great, from anywhere up on the mountain. BVIs to the east, USVIs to the west. Take a dive or snorkeling group day-charter over to the BVIs if you can. You won't regret it. God, I just realized how much I miss it. Feel free to ask anything you may want to know about the area. I can probably give you some guidance if you need it. Not only about things to do and see, but also local customs and requirements. Played Mahogany Run once. Liked it. Headed over with the wife, 10 yr anniversary - staying for 10 days. We picked St John with it being quieter. She is planning some day snorkel trip... she actually mentioned golf. It hadn't even crossed my mind. I'd be interested in anything you'd care to share about the local scene/customs. Hopefully I'll be snapped out of this little golf funk I'm in by May, that's when we're going. When on St. John, certainly you will want to go into the town of Cruz Bay. That is where all the action is on SJ. It's where boats clear in and out of St. John, though most boat are yachts, not ships. Every now and then a ship will anchor off St. John and the town will get busy. 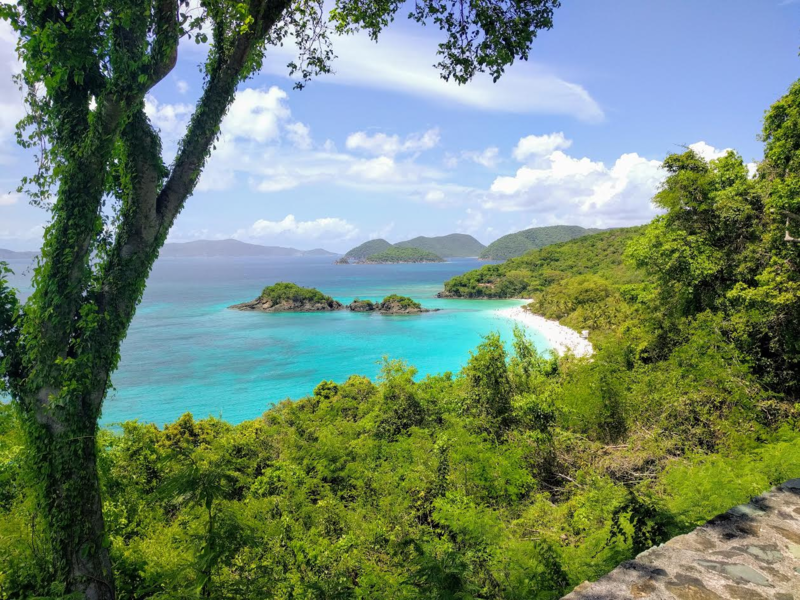 For peace and quiet, St John is the best of the USVIs. The whole island is a National Park. Visits during may are a little warmer, but there should be nice trade winds to keep it somewhat comfortable. The best trades come from the east, so it will be hotter on the west side. The tradewinds die down a lot after winter, but there is often still 10-15 knots of breeze in May. Less in summer. That's when it gets real hot. But that's what the beautiful beaches are for. Spend as much time as you can on, in or at the water. There are some West Indian natives who can be a bit unfriendly to white Americans, but it seems much more of an issue in St. Thomas than St. John and not so much within the tourist areas, but more when you get sort of "behind the scenes," where so many Americans live among the West Indians. It's their island and they want you to know that. As a tourist though, you likely won't deal with that too much. I could go on and on, but I'll wait until you have some specific questions. As I said, I have been all over St. John and St. Thomas, as well as all of the BVIs, Puerto Rico, and for that matter, the entire Caribbean throughout the Windward and norther Leeward Islands, as far south as St. Lucia. I will expect to see pictures upon your return. Here's one from the condo I lived in one summer when my boat was out of the water for hurricane season. It's on St. Thomas near Red Hook, looking at St. John. I lived on the boat all the rest of the time in the islands. Dang Doug. That is some exotic habitat. In the caribbean I've only been to Puerto Rico, I should check out the VI. Very nice Doug. ...wife is asking about restaurant & excursion boat recommendations on St John, if you have any. I remember there were a few daily dive and snorkeling charters out of Red Hook Bay on St. Thomas, which I would think are still there. 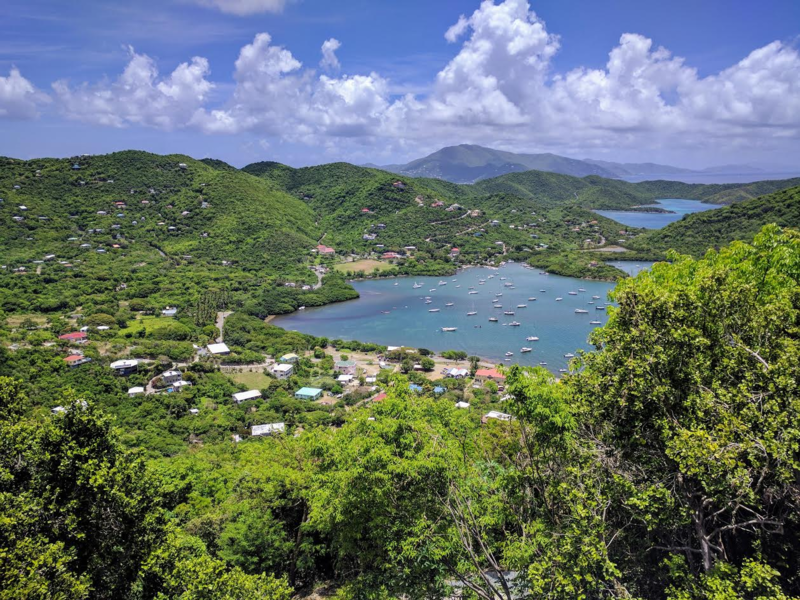 Any type of excursion or activity you want to do out on the water can be found on St. Thomas, which is just a short ferry ride from Cruz Bay on St. John. 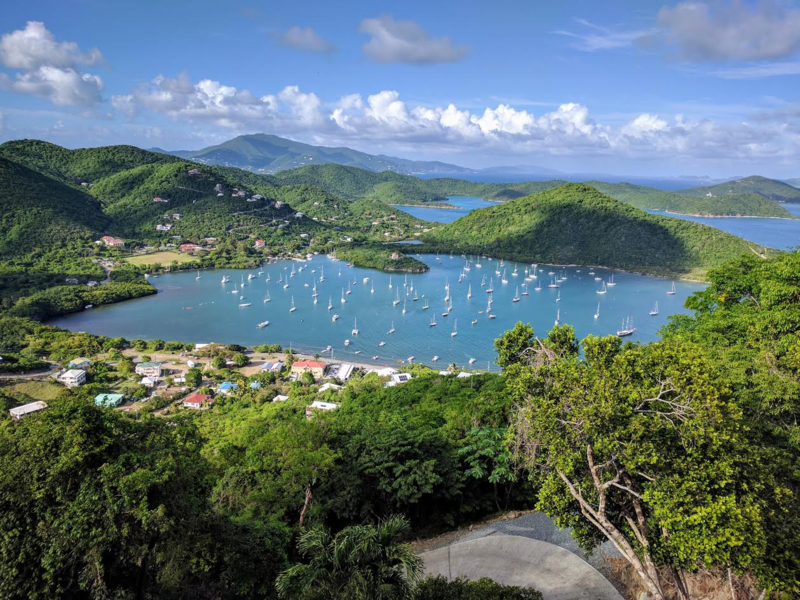 Things are a little more limited on St. John, but you can certainly find sailing charters, fishing charters, dive boats, parasailing and catamaran rentals on the island. Just taking a ferry over to Tortola in the BVI for the day is also a possibility from St. John. You'll need a passport, though. If it is still there, Cruz Bay Watersports can set you up with dive lessons (if you need them) and dive and snorkel charters, among other things. As far as restaurants go, there are a few decent ones in Cruz Bay. 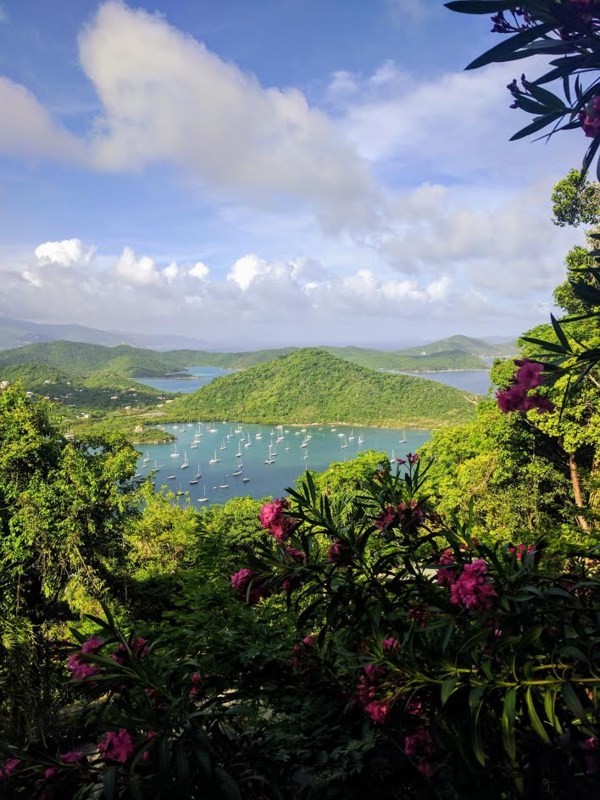 I have only eaten at a few, since most of my visits to St. John were for my charter guests to go snorkeling in one of the many bays and anchorages. So my time was mostly spent aboard or clearing in and out of St. John when returning from the BVIs. However, over the years I was in the islands, as I said, I did have dinner on St. John a few times. And I have been inland for exploratory excursions a few times as well. Most of my time there other than mentioned, was bar-hopping in all sorts of open Tiki-type bars, with friends all over the Cruz Bay area. It is a fun place during the winter months. Though, not a big drinker myself, my friends kept me quite entertained! I do remember going to dinner at at nice Italian restaurant in Cruz Bay. I'm pretty sure the name of it was Cafe Roma. Another, more islandy flavored one is in Caneel Bay at the resort. Not sure where you plan to stay, but an upscale place if you want a nice hotel. The restaurant is on the beach and is open-air. Probably more expensive. I have been there, but haven't eaten there. As you make plans, or consider things to see and do, let me know before you commit to anything and I may be able to give you some feedback from my experiences there. Happy 10th. We just celebrated our 10th as well. Well, we didn't actually celebrate yet. We exchanged cards and plan to go out to dinner somewhere in the neighborhood when we can find the time and a good day to do it, and maybe go for a nice country drive for an afternoon. Your plans sound like a lot more fun. I sure would love to get back to the islands for a couple weeks. Thanks & congrats on your 10th! These are the two the wife are lookin' at... familiar with either Doug? I am not familiar with either, so I am assuming they are both newer companies. I looked at the links and based on the subtleties in the copy it sounds to me like they are both pretty standard day charters. Snacks, lunch, drinks, snorkeling, sunset sails back. Pretty typical. These are not private so you can get others on the boat who you may or may not be happy about. Kind of like being paired up in golf with a questionable character. You never know who will be sitting next to you in their Speedo...or worse! So, just be aware. Prices seem reasonable. 15 years ago I charged $650/day for a private daysail, not much less than they do today. Worked out to $125 a person, with 6 people. Most boats under 50 feet have a 6-person charter limit due Coast Guard restrictions and the captains having only "6-pak" licenses. I had more than a 6-pak license, but my boat was only 48 feet and did not allow for more than 6 paid guests. It looks like these big cats from your links can handle more than 6. So the crowd could get bigger....and sketchy, but frankly, I rarely had charters that were not fun. Though as mentioned, all my charters were private groups. Everyone knew each other. Be prepared to tip. Probably $50 a couple. The crews only make about 10-12 bucks an hour. I only had one crewmember and paid him $100/day, but he usually made out pretty well with tips. Better than me by the time I paid all the expenses....and boat mortgage! Sailing the waters of the Virgin Islands is not a bad way to make a couple hundred bucks a day. Guarantee, not many of the crews were submitting accurate 1040s on April 15! One of the companies you're considering offered a Jost Van Dyke day trip. It requires clearing in and out of the BVI and cost a little extra, but would be a fun day. 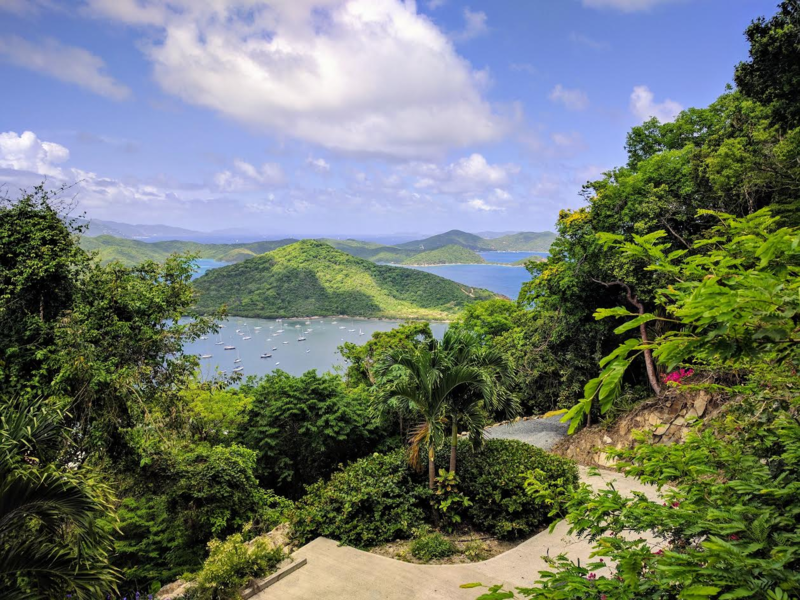 Jost is just north of St. John and is known for Foxy's (where the biggest New Year's Eve in the Caribbean takes place every year) and White Bay. White Bay Beach is fantastic. Soggy Dollar Bar is there and is a great place for lunch/cocktails. I still wear my Soggy Dollar T-shirt in my regular rotation. Many Kenny Chesney videos are filmed on Jost as he is a frequent visitor there and all over the Virgins. His second home. It is well known that he has gotten up on stage at more than one drinking establishment for impromtu free performances there. He spends most of his time in St. John I think. Keep those questions coming. I'm all yours for the asking. I am enjoying the memories as I answer your questions. Coda it's almost April. Getting close. Are you still scheduled to go in May? Are you taking your new clubs? What's all of that blue stuff between you and the mountains? DougE wrote: Coda it's almost April. Getting close. Are you still scheduled to go in May? Are you taking your new clubs? Yeah, it's coming up soon. With this little SC trip out of the way - that's kinda next up. Travel's a bit of a stress - not my favorite thing but this should be fun. I'm not bringing my clubs (but am eager to start hitting 'em at courses near home - why is it snowing right now?). I'm still not sure I'll even play when @ St. John. I probably should but soo lazy - I'll have to make my way to a whole nother island & find my way around... who knows, maybe I will maybe I won't. No plans but relaxing on that vaca. Well, golf or no golf, I still want pics. DougE wrote: Well, golf or no golf, I still want pics. I take a ton a pics & will def. have some to share! Hey Doug & everyone else. Hope your all doing well. Here are a few pics of St John. Damn, I miss it there. Looks so familiar. Been in that harbor a number of times. Hope you had a great time.....and went sailing. Those pictures look fake. 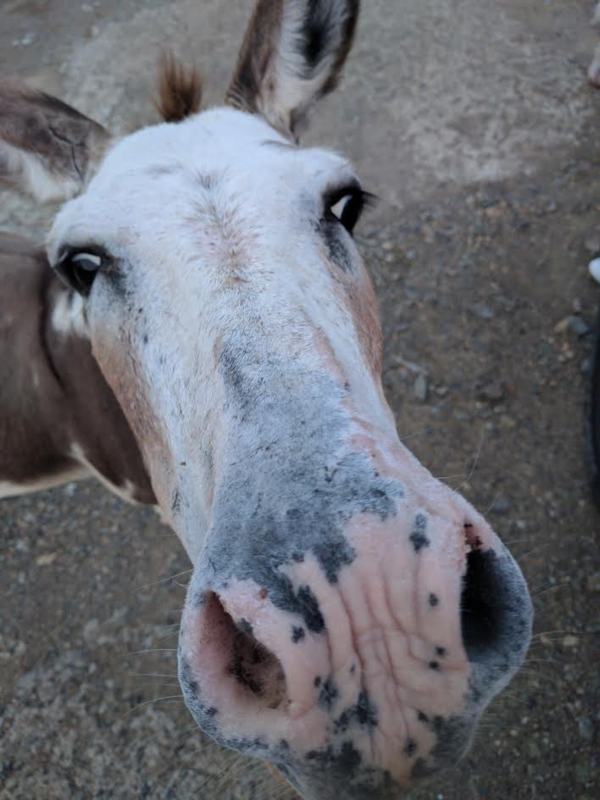 Except the donkey. He's real. ^ in that order. I'm rambling but that place is amazing. When I lived in Florida you couldn't get me out of the water. I miss snorkeling & diving a lot. Do you know what type of fish it was? See any sharks?